Approval of Minutes: Motion was made by Michael G. Kavanagh. Amy seconds. Minutes were approved. Maggie Shaw’s petition was up for renewal. Maggie has been part of the Sugar House Community Council for 2 terms already and has been influential in many aspects of the council including the Chair and Vice Chair role. Bryce made a motion to accept the petition renewal. Amy seconds the motion. Maggie was approved unanimously. -$581.00 in donations came in within the last month. -Amy welcomed back Dave Mulder to the council. -Amy reminded the council of the requested $60 donation of council members.–Amy thanked Christopher Thomas for his service to the council. Christopher did serve 2 years as the Chair. Christopher will not be renewing his petition, but will stay involved in committee work through communication and outreach. Christopher will be working for a Sugar House based energy efficiency company. -Eric McGill, new trustee from Highland Park is interested in starting a new committee. The committee would be focused on crime and homelessness in Sugar House. Those interested in being involved can contact Eric for more information. -203 stolen cars in the city over the past month. 55% of those were unlocked cards. 49% had keys left inside. 29% of those were left running. – Cars that are being broke into have a theme of back passenger window and ski equipment is the common thing that is being taken. -An audience member asked if cars being broken in to or stolen were primarily on the street or int he driveway? There was no specific numbers, but the street tends to be more popular. -State Senator, Jani Iwomota visited the council. Jani spoke about the upcoming legislative session. Jani serves on around 15 committees for the legislature including: education appropriations, executive offices and criminal justice, economic development and workforce services. Jani encourages everyone to track the bills this session at le.utah.gov. Jani’s contact information is j.iwamoto@le.utah.gov or 801-580-8414. -Legislative Town Hall will be happening at Sprague Library on January 21st. Time to come. – The purpose of the visit was to inform the community council and stakeholders of a draft of the East Bench Master plan. Want SHCC to review the plan and provide comments. -East Banch plan cover from the north boundary of the University of Utah to the eastern city boundary over to 1300 east over to 1700 south up to 2300 e and Parley’s way. Most of the East Bench Master Plan does not cover most of SHCC boundaries, except for Beacon Heights. -A summary handout was passed out to the trustees. The entire plan can be found on the Open City Hall website and will be posted to the SHCC website. Comments of the plan can be posted on Open City Hall or Wayne can be contacted at wayne.mills@slcgov.com or 801-535-7282. -The East Bench Master Plan covers focus areas of: neighborhoods, major corriddors, regional activity center, and parks recreation and open space. -Deb asked how long the master plan has been in the works and why it was being brought to the committee at this time? Wayne said the plan was adopted int he early 80’s and was brought to the community to get input and feedback. The adoption process for the plan is community engagement through feedback and open houses. It then goes to the planning commission where they make a recommendation to the city council and the city council makes a decision. -Comments to Open City Hall are until January 31st, but may be extended. -Cottonwood residential owns a variety of properties across the United States. They are interested in the particular property in the area to create rental properties that are competitive in price to others in the area. Looking at around $1,300 compared to $1,700 or $1,800. – The project looking to be developed would be off of 900 E and Ramona. In a previous meeting, a community member expressed interest in having a drop out point on 2100 S instead of 900 E. for the project to help with traffic. -234 parking spaces which would be 1.2 parking spaces per unit. Neighbors are concerned about property values going down in the area with this development. -Deb asked how the developers were going to factor in the cost of the rentals with only 234 parking spots for 185 units. Deb was concerned it may be factored in the cost for the units. Cottonwood said they need to do some more research on this. -Michael was concerned about parking being funneled on to 2100 S. 2100 S. is already one of the busiest streets in Salt Lake City and there would be trouble without a traffic light there. -A neighbor asked if the are still looking for rezoning and also asked about guest parking. The neighbor was concerned there would not be enough parking. Cottonwood believes that 1.2 spaces per unit would be enough parking and stated it has worked in other cities where they have property. -Another neighbor who owns property in the area stated that 2-3 spots are needed per unit, otherwise there will not be enough parking and will take away from the pre-existing residents and property values would also go down as a result. – Another neighbor asked if the development would be taller than the clinic near the proposed development site. The answer is that it would be. – Google Fiber is an energy project, not to be confused with Google. Google Fiber has been around for around 5 years and is int he process of moving to Salt Lake. Has been in Provo for about 3 years, but started out in Kansas City and moved into Austin, Texas. -Google Fiber ventures into cities where they can get into communities without making major interruptions. Local government is influential in making Google Fiber happen. It does take some time to get Fiber laid in the city. Salt Lake City is a lot easier than other cities. -Google Fiber puts in what they call Huts. Once they put in huts, they make connection to the homes and communities to deliver the service. -In Salt Lake they are still in construction and getting the huts in place and working with community to get things in order during 2016. -Deb asked which neighborhoods they would go into first. Jacob stated that it is not determined yet where the service would start as they are still determining where it would be easiest to start. -An audience member asked if they would be extending out to other neighborhoods like Glendale, Poplar Grove as well as schools like Roosevelt on 3300 S. Jacob stated that for the schools they do not have a school project, but all the schools have high connections through UEN, As for Roosevelt, it is not in Salt Lake City and the boundaries for Google Fiber are in Salt Lake City. -Christopher passed out a proposal for the updated charter. The focus is to update the work such as keeping a unified look and fill of our materials, the platforms in which we communicate with the community, and within the council. – The motion passed unanimously. 2970 Highland Drive (San Francisco Designs) They want to tear down a non-complying building in the rear of the lot and replace it with a larger building. If no one requests that this go to the Planning Commission by December 21, it will be eligible for an administrative decision. The project must meet the standards for a Building and Site Design approval per 21A.59 of the Zoning Ordinance. Amy and Judi determined this was something that didn’t need to reviewed. East Bench Master Plan Wayne Mills from SLC Planning presented earlier in the evening. The city recently released the draft East Bench Master Plan and are beginning the community engagement phase of the project. The draft plan is available on Open City Hall at https://www.peakdemocracy.com/3218. Judi emailed the Trustees to ask them to read the plan prior to the meeting. 720 Ashton Avenue proposal to change the Bed and Breakfast into a Group Home is on the Planning Commission agenda for January 13. Judi’s letter included all written comments and most verbal comments that she had received. The public is welcome to attend the meeting and speak to the Planning Commission about this proposal. The Planning Commission staff report should be on the city website by the end of the day January 8. Boulder Ventures proposal for 2189 McClelland Street. Judi sent a letter to the Planning Commission, with the comments that she received. We don’t yet know when this will go to the Planning Commission. It is was stated that they have made a number of changes to the plan from what they received, and at some point down the road, we will probably be asked to weigh in again on the new design. There is a proposal for Expansion of the Salt Lake Swim and Tennis Club before us. you can see it on our website. This will be presented and discussed at the January 11 meeting of the Land Use and Zoning Committee here in Sprague Library at 6 p.m. The Master Plan Amendment for 900 East and Ramona Avenue was on our LUZ agenda December 21, and w at least 60 people signed the attendance roster from the neighborhood, there were a number of other people from SHCC and Salt Lake City Corporation who were also there. They will present their proposal tonight, and then I will send a letter to the Planning Commission. Mecham has filed a pre-demolition permit application December 18, and submitted a letter requesting a exemption for the 18 month timeframe. They have been granted approval to tear down the buildings as long as he complies with the landscaping requirement. These buildings are the buildings along Highland Drive, the Dixon Building which housed the Fats Grill, south down to Sugar House Furniture. Boulder Ventures filed a pre-demolition permit on December 18, and has submitted a letter requesting an exemption for the 18 month requirement, to remove the Leisure Living Building. They have not received approval. They have nothing on file yet. The pre-demolition permit allows them to tear down a building with the requirement that they have to have a reuse plan approved and construction begun within 18 months. We hope this will not result in another Sugar Hole. Salt Lake City Planning are meeting weekly with each of these developers to make sure that the projects will work together in some fashion. Sugar House Center News – Toys R Us is closing the store in Sugar House. The Dee’s Corporation has purchased the building and is looking for a new tenant. They are also planning to build a hotel, probably directly east of Toys R Us on Wilmington. No time frame is established. Jeff Sokol from the Salt Lake City Department of Engineering is supervising a study to determine the condition of the trees and sidewalks in the business district. Then, if the City Council approves funding, we will get renovated sidewalks and probably elimination of the some of the grass along the narrow sidewalks in some areas, along with improved irrigation for our street trees which are in bad shape due to the condition of the current irrigation. We should get a form to fill out to provide information on areas that we think need special help. NOTE: This is not in residential areas. You can call engineering to report a sidewalk issue in your neighborhood. The next Sugar House Community Council Land Use and Zoning Committee meeting will be January 11 at 6 p.m. in Sprague Branch Library. 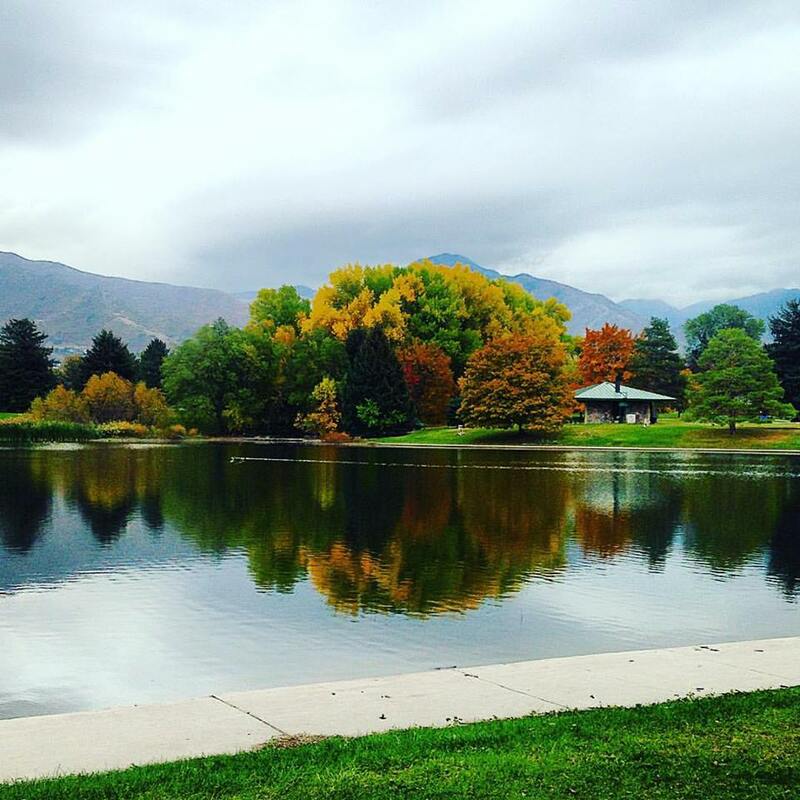 The expansion of the Salt Lake Swim and Tennis Club will be on the agenda. – Christopher made a comment about the importance of taller buildings and the correlation with higher density buildings being more affordable for those with lower incomes. -Did not meet, but will meet on January 11th. – Did not meet. Tentatively will be talking about both a parking study and transit study, but will meet on January 11th. -Committee waiting on the mayoral transition. Things are moving and specifically working on getting the Nu-Crisp sign up and going. Laurie has a reporter working on a story about the historic signs in Sugar House. Dr Todd and Jenny Cameron. -Focus on natural medicine both conventional and non conventional. -The Cameron Wellness Center is planning a family safety day in May. -The Cameron Wellness Center does not accept medical insurance. -The last city of council meeting of the year, the council agreed to fund $500,000 in matching funding for the Sego Lily project. -2 new members of the City Council: Andrew Johnston and Derek Kitchen. New Mayor: Jackie Biskupski. -Library Director’s last day is January 15th.